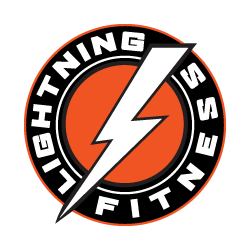 Lightning Fitness offers group training in a motivating atmosphere. We do not run rushed timed circuits to get you in and out in 30 minutes. Our coaches take the time to teach you how to train properly. We are not a bootcamp and absolutely not a Crossfit gym. We do not have random workouts every day, our programs are methodical and track your progression. Since our members range from beginners to the most advanced clientele and athletes, we do have various levels of programming.